It could be the food. Possibly the terrain. Maybe the water. It must be the fresh air. Whatever it is, children born here in 2013 can expect to live longer than those born anywhere else in the English-speaking Caribbean, with the exception of a few, according to a new visualisation which plots the life expectancy for each continent. The figures suggest that Dominica has the sixth highest life expectancy in the Americas, joint with Antigua & Barbuda, Ecuador, Paraguay and Uruguay, where children born last year are expected to live to age 76. 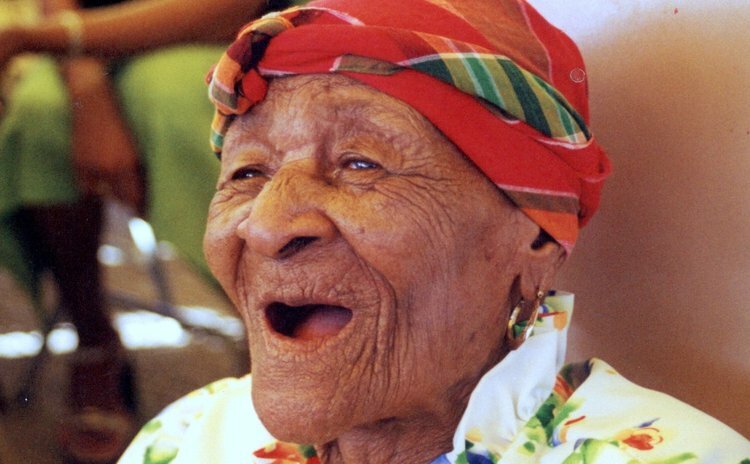 St. Lucia (77) is the only country in the Eastern Caribbean with a higher life expectancy. It's tied with Dominican Republic, Argentina, and Mexico. Other countries in the Americas with higher life expectancy are Cuba, Costa Rica, Chile and Panama (78); The United States, Puerto Rico and Turks and Caicos Islands (79), the Virgin Islands (80) and Bermuda, the Cayman Islands and Canada (81). Haiti (62) is at the bottom, with Guyana (67) not far behind. Belize and Bolivia (both 68) are the other countries in the Americas with life expectancies in the 60s. However, those born in eastern European countries like Albania, the Czech Republic, Georgia and Slovenia (78) are expected to live longer than those born here, while Poland, Slovakia, Croatia, Bosnia and Herzegovina and Lithuania rival Dominica. None of the African countries has a higher expectancy, with children born in Algeria, Libya and Morocco expected to live as long as those born here. A dozen Asian countries do better, with Taiwan, Jordan, Israel, Hong Kong, Singapore, Japan and Macau all having life expectancies over the age of 80. The Chinese (75) however, aren't expected to live as long. Those that will live the longest are likely to be born in Monaco, where life expectancy at birth is 90. The worst countries to be born in last year were Chad and South Africa, which have life expectancies of 49. The illustration includes the average number of years to be lived by a group of people born in 2013, if mortality at each age remains constant in the future. Europe, Asia and the Americas are the places in the world where life expectancy is, on average, the highest. Thirteen 13 countries have life expectancies in the 60s. The visualisation also contains a timeline of how life expectancy has changed throughout history. In the Neolithic Era life expectancy was only 20, jumping by 10 years in the Medieval Age. Life expectancy at birth in the early in the 20th century was 32. The visualisation was created by visual journalist Marcelo Duhalde who said he wanted to create a "waterfall" effect. The data was compiled from the CIA's World Factbook and the Encyclopaedia Britannica. Life expectancy is a synthetic indicator of the living conditions, health, education and other social dimensions of a country or territory, it explains. The United Nations uses life expectancy as one of the key indicators in measuring human development.